The Eiffel Tower is easily one of the most recognizable structures on earth. i have been to the Tower myself and absolutely enjoyed my time in France. it has been several years since i have visited France, but i hope to be able to go back again soon. i need to get a scanner so that i can digitize and post my own photo’s that i took while i was in France. the tower was built as the entrance piece to the 1889 world’s fair, and was criticized by many at that time, whereas now it is iconic. the tower consists of three levels – all are accessible by stairs and elevators, however the stairs to go from level 2 to level 3 are generally closed to the public. There are two restaurants on the tower, one at level one and one at level two, and there is also a living quarters that is decorated to mimic what it was like when it was used by Gustav Eiffel. 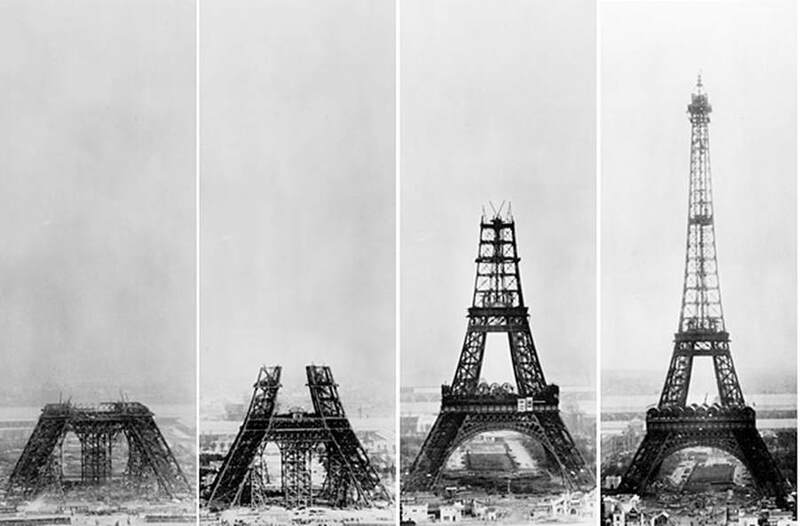 Originally as per the initial design the tower was built to be easily dismantled – as it was supposed to be after 20 years. But so many identified with the tower that it was allowed to remain after the time allotted was expired. Many thought that the tower would be unsafe and collapse, others continued to preach that it was nothing but an eyesore. throughout its life it has had several close calls. 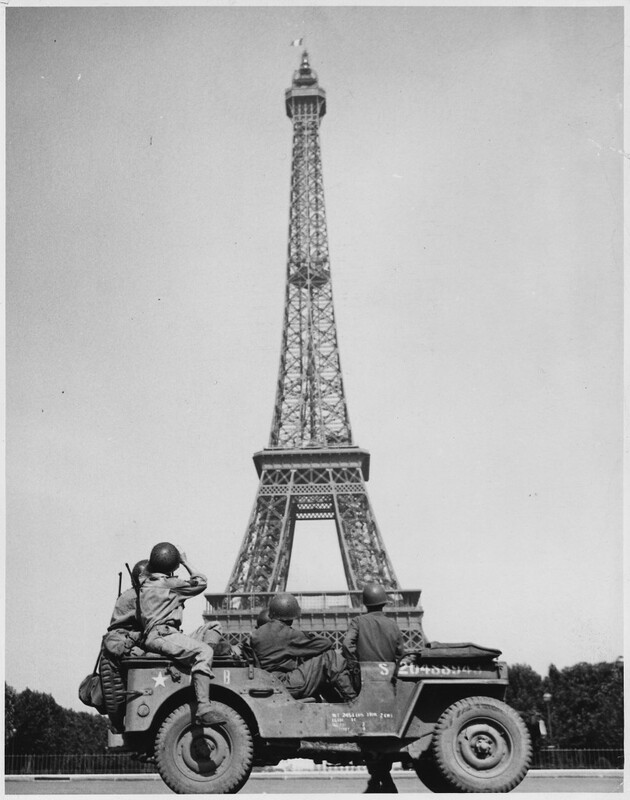 When the Nazi’s were retreating from France, Hitler ordered the tower and Paris destroyed. these orders were disobeyed. in the mid 50’s a fire at the top on one of the tv transmitters caused damage that took a year to repair. since 2004 a skating rink is assembled on the first floor each winter. Paris is a beautiful city and there are no better views than from the observation deck of the Eiffel Tower. When I first saw the Tower in person, II was surprised at how large it is. It is one of my all time favorite structures. Thank you for the beautiful images.